Cocktails aren’t what they used to be. Gone are the days of syrupy drinks made with commercial mixers and juices. Craft cocktails are all the rage with bartenders concocting creative recipes from seasonal produce and homemade liqueurs, bitters, and syrups. Look no further than the garden to create your own signature cocktail. Herbs are so easy to grow and add complexity to drinks. You can muddle or chop them to use in the cocktail or simply use a sprig as a garnish. 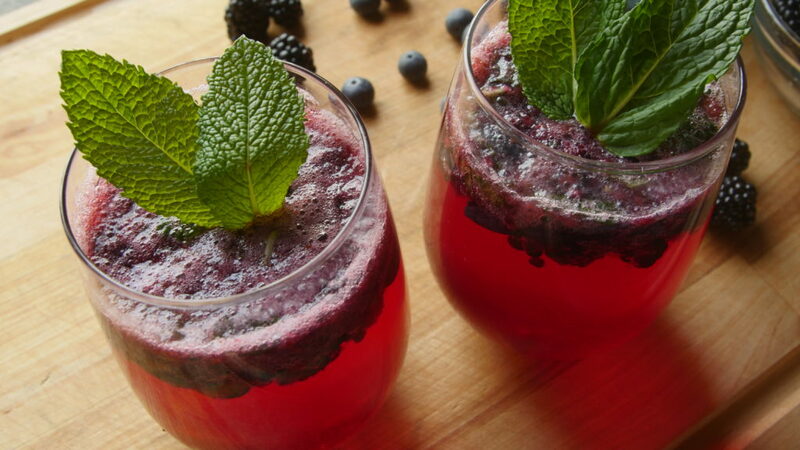 Try making your own herb-infused simple syrups as well. You’ll get the flavor without having to use the plant itself. If you decide to plant multiple herbs in the same bed or container, make sure have the same sun and water requirements. Mint – Probably the most popular herb used in cocktails, mint is easy to grow but also a bit of a bully in the garden. It spreads so voraciously that it’s best grown in a container. If you want mint in your bed, plant it in a container first and then dig a spot in the bed for the container. Lavender – Lavender adds such a lovely floral note to a cocktail. And it’s a beautiful garnish. Although lavenders are native to the Mediterranean, they are not all that drought tolerant. It is important to give them consistent moisture, especially during the first few years while they establish a strong root system. Rosemary – A little rosemary goes a long way. It’s rich, woody flavor works well with gin and bourbon. It’s easy to grow and is heat and drought tolerant. Lemon Verbena – As its name implies, lemon verbena is an herb with a citrus scent. Use it to add a subtle lemony flair to your drink. Basil – I love the licorice notes basil lends to a cocktail. Traditional sweet basil works well, but you can play around with other varieties like lime or cinnamon basil. This herb loves the sun, so it’s not ideal for growing indoors unless you can keep it in a sunny place.